What's it like travelling in Malaysia? 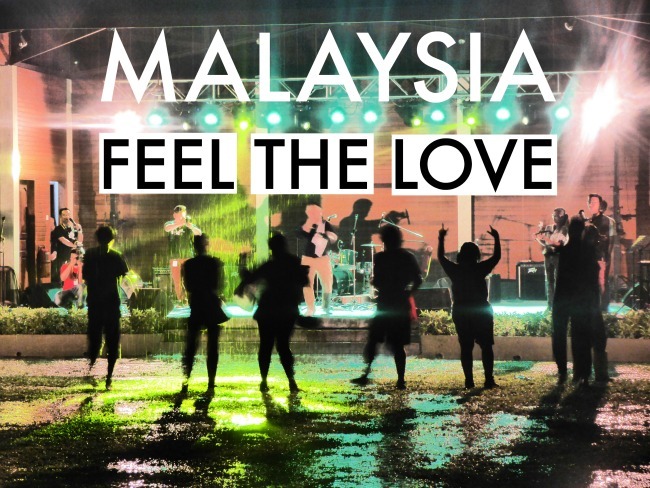 It's all about the rasa sayang or Feel the Love! If you cannot view it on YouTube, check it out on check it out on Vimeo by clicking here. Langkawi island is a tropical paradise with beautiful rice fields to discover and flat roads ideal for cycling adventures. The sky bridge is also a lot of fun to visit with incredible views across the island. We did the obligatory cooking class on Langkawi, learning to cook Malaysian treats like beef rendang and pandan pancakes. Kuching in Sarawak on Borneo island hosts the annual Rainforest World Music Festival, which showcases a mix of international sounds and artists. The video ends at the Rainforest World Music Festival with the crowd (including us) singing along to a rendition of Rasa Sayang. Our Malaysia travel video was made using the video editor “MAGIX Movie Edit pro 2014″. The music used is Hanie Soraya's version of “Rasa Sayang”. One of my favourite countries in SE Asia. Loved the video! This video may have just pushed me over the edge! I’ve been trying to decide which country(s) to visit on my next SE Asia trip. Malaysia has been on my mind a lot…and your video shows such a great range of activities and landscapes. I think I really need to see the animals in Borneo! Thanks for sharing!! Another inspiring video from you guys! All those animal adventures must have been incredible! Did that food ever look yummy too. All that natural beauty combined with the incredible man made beauty and architecture. The extremes are surreal. Thanks again for taking us along with you.